Luxembourg was invaded by the German army on 10th May 1940. Despite its official neutral status, the country was incorporated into the Reich. Luxembourg City lost its status as a capital of an independent country. The Grand Duke's palace became a tavern. The Casino, which is currently a contemporary art forum, became the “Haus Moselland”, a centre for Nazi art. Major reconstruction projects were planned for the City with a view to creating a cultural stronghold for the western Reich, with designs by the Berlin-based architect Hubert Ritter. A painful period of occupation started, ending only with the liberation of the capital on 10th September 1944. 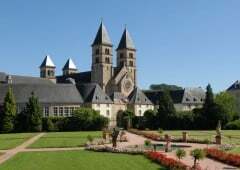 When you visit the Grand Duchy of Luxembourg don't forget to use the national tourist pass Luxembourg Card. For a 1-3 day visit, the pass gives you access to more than 70 attractions and museums, including the Battle of the Bulge museums in Clervaux, Diekirch and Wiltz. Countrywide public transport is included, meaning the Luxembourg Card is much more than a standard tourist pass. Please check opening times before visiting each attraction. Guided tour for up to 25 people: two hours (€90), leaflet available (start at Place Guillaume II). Visit the “Gross Luxemburg by Hubert Ritter” model in the City History Museum, section “urbanisme”: ½ hour. Visit the Forced Conscription Research and Documentation Centre, Hollerich station: one hour (1.5km from the town centre by bus and train). 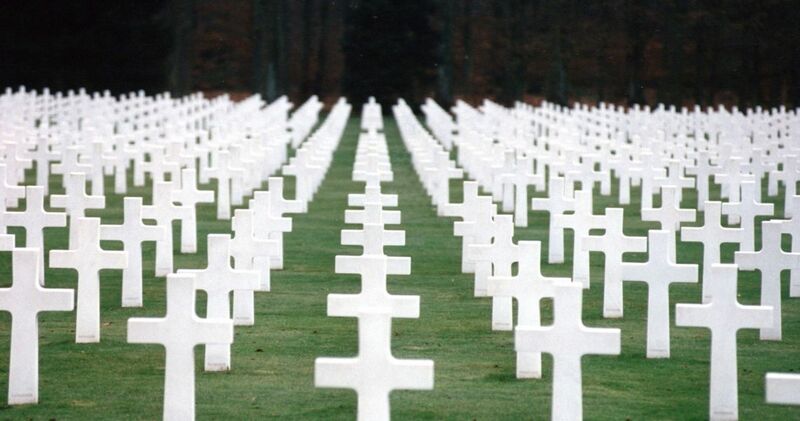 Visit the Foundation J.P. Pescatore chapel (avenue Pescatore, ask the concierge for access) where General Georges S. Patton famously prayed for fair weather before the Battle of the Bulge. The Foundation was used as the headquarters for General Patton's 3rd army. Duration 30 minutes, free of charge. 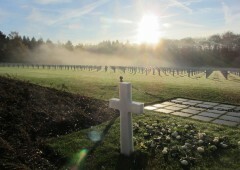 American military cemetery (5,076 soldiers) in Hamm (6km for the town centre) & German military cemetery (10,885 soldiers) in Sandweiler (1km from Hamm): 90 minutes (free of charge). Dinner in the Alfa Brasserie (place de la Gare): General Omar Bradley's headquarters was in the Alfa Hotel. Visit the town, discover its medieval heritage and see the reconstruction work following 1944. Part of the Basilica built in 698 AD was destroyed by shelling in 1944. It was rebuilt, consecrated in 1953, making it the sixth church to be built on this spot in 14 centuries. It became a symbol of reconstruction. This historic way-marked walk on the Hoesdorf plateau features part of the West Wall near Wallendorf in Germany. 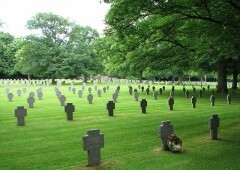 It brings to mind the tragic events which took place here during the winter of 1944/5. 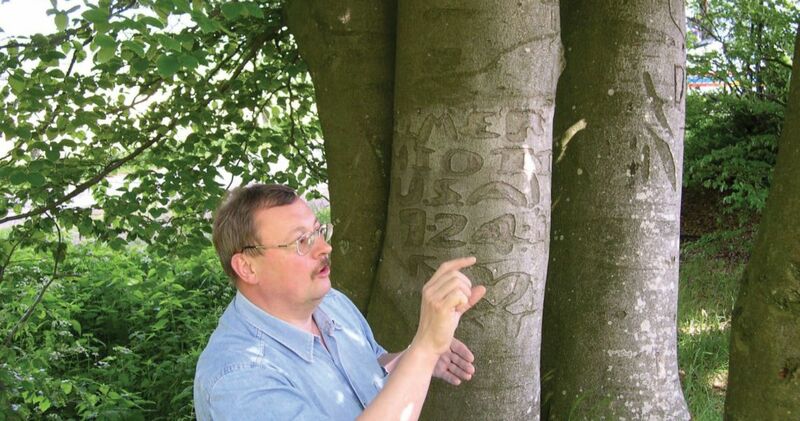 The walk features trees marked with the names of American soldiers, a covered shelter, and a German bunker in Wallendorf (torch required). Start Bettendorf, end Heisdorf. 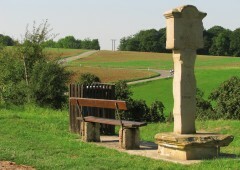 On this 17km walk, explanation of the various sites are provided by 16 information boards, with the first nine in Luxembourg and the remaining seven in Germany. 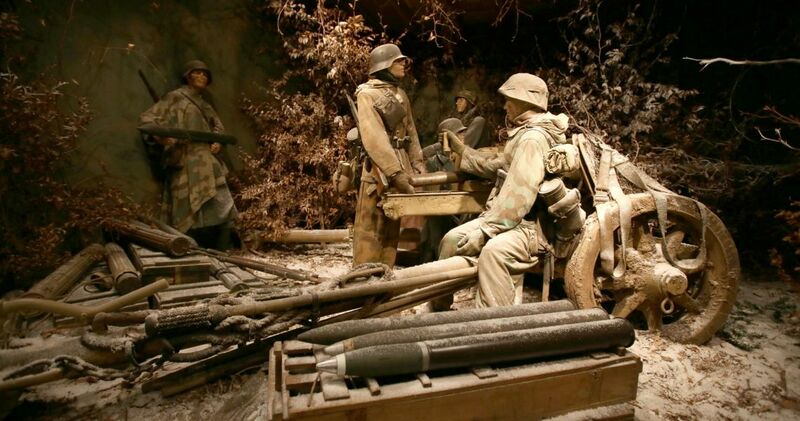 Gain deeper understanding of the Battle of the Bulge with life size models in this museum near Diekirch. 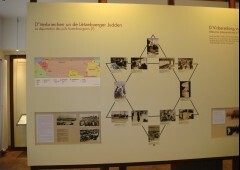 The destinies of civilians and soldiers are explained through displays of military material, archive photos and more. There is also a section on the Luxembourgish army since 1940.